Ways to help you keep finding your fit. Tell us a bit about how you came to The Athlete’s Foot? 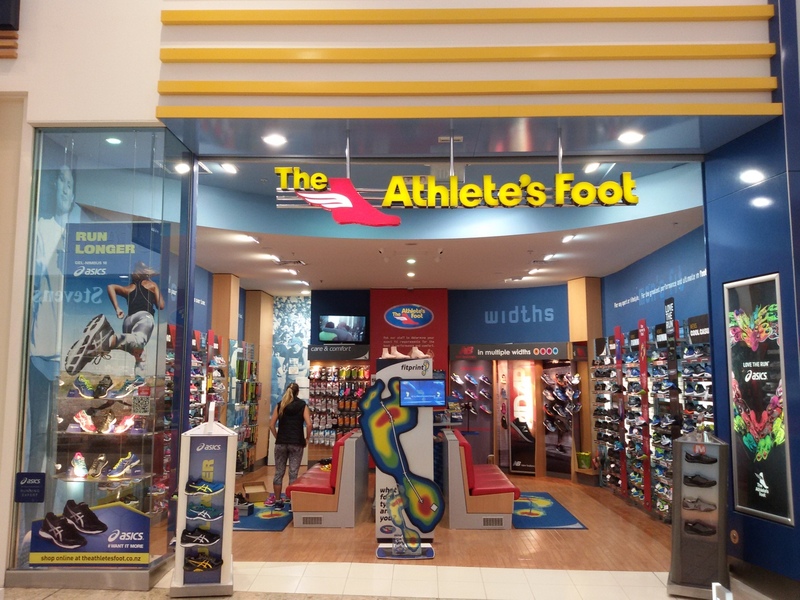 I started working for The Athletes Foot in September 2008 as a part-timer, whilst I was in full-time study. I had no previous experience in retail and nil knowledge of technical footwear, I was given all the resources and the best training necessary to aid towards me becoming a qualified ‘Fit Technician’ enabling me to fit customers and change lives. Tell us more about yourself? What is your background and how has this helped in your new role? I am Cook-Island, born and raised in South Auckland New Zealand. I’m married to a beautiful Samoan man and together we have a 4 year old son. Im very family orientated. Being a mother and a wife has kept me busy on my feet thus being able to multi-task. In my new role there are many things to be done in a day and I guess the ability to multi-task comes in handy. No day is the same and I wouldn’t have it any other way. My faith and grounding in a Christian church has seen me through many instances in my life. Through this I was able to learn the value of any individual, bringing on my love to serve others. I love helping others and I know it sounds cliché but I love making a change in people’s lives. We never know what any one person is battling so it is very important to treat/serve others with the utmost respect. What have been some of things you’ve enjoyed so far since you began at the Botany store? I was based in our Sylvia Park store for just over 7 years and I was able to build a rapport with loyal customers and friendships with co-workers. Moving to our Botany store meant I had to start building new relations with a totally different customer base and form and build a solid team of staff members. With summer just around the corner and our store location being based off the street rather than in a Mall, I’m looking forward to enjoying the sun too. What types of people do you meet in store and what kind of shoes are available for the different shoppers? Customers of all different ethnicities, shapes and sizes come to our Botany store. Usually, customers that are goal oriented, be it weight loss, fitness, training for an event or even that simple lifestyle-walker type person. It’s safe to say that we have one of the biggest ranges of Technical footwear. We carry options from running, trail, walking, cross-trainers, netball, lifestyle (casual), kids trainers and a huge selection of school shoes. Between the months of September to February, we also carry an extensive range of summer sandals across several brands to assist our customers with the warmer spring-summer weather. And what about the other team members in the store, are there still familiar faces for our regular customers? I’ve got a great team of 6 staff members (including myself) who are all qualified Fit Technicians. Our regular customers may remember Julia and Asher from since before the changeover of ownership earlier this year. Julia and Asher have been with TAF Botany for a little over a year and the remaining 4 staff (myself included) have been with TAF Botany since April-May 2016. What things can we look forward to in-store in the coming weeks? Lightfeet socks go on special for the month of December- Buy 2 pairs get the 3rd pair free. Every Thursday fortnight we have qualified Podiatrist Bronwyn from Bigfoot Podiatry who comes in between 4-6pm for free in store 15 minute consultations. Release on our full range of summer sandals over the next month- Fitflop, Lightfeet, Merrell, Orthaheel and Vionic. New releases in shoes across a number of brands over the next couple weeks. Be sure to pop into store and check out our range. Our service is top notch! All new Staff are taken through an extensive 3-4 week training programme so to ensure they are all tech’d up and ready to serve customers and communicate the correct information. Ongoing monthly training is also put in place for all staff including existing staff members to ensure we are always up to date with current/new product. At The Athlete’s Foot Botany we pride ourselves on our fitting process as we are one of a few shoe stores that offer a full fitting service. Both feet are measured for length and width and we do a gait analysis, so we stock a big range of footwear options and friendly customer service. I believe through the various brands that we stock we are able to cater for feet of all shapes and sizes – even a size 15US in a 4E width!! You can guarantee that no matter what staff member you catch in store you will be met with a friendly smile and a welcoming hello! Lastly, what shoe are you currently wearing and why? And what shoe do you want to be wearing next and why? 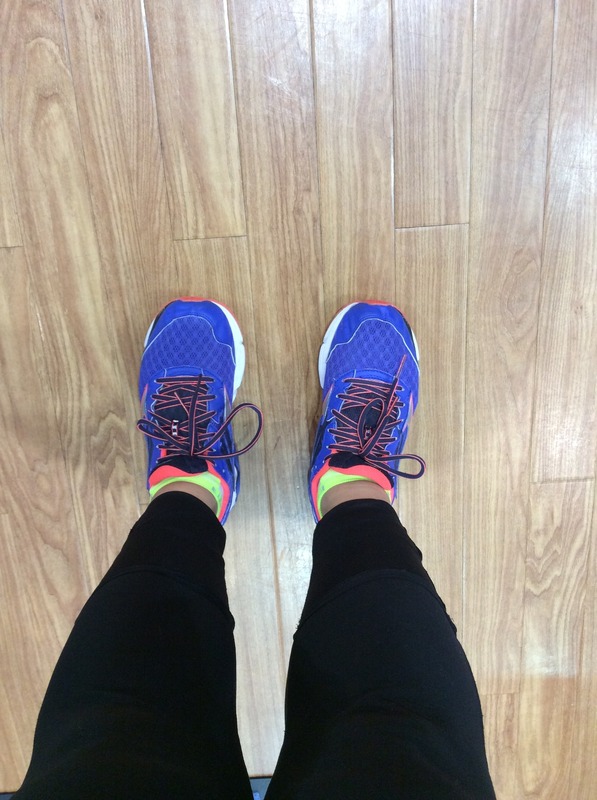 At the moment I’m wearing the Mizuno Wave Inspire in a wide fit. I’ve got beautifully wide pacific island feet and I’ve found they cater nicely for width. I also wore the previous model to the ones I have on now when my husband and I did the Tongariro crossing in April earlier this year and experienced no problems with them at all. Also, a pair of royal blue/neon pink shoes never hurt nobody.